Electric transportation vehicles were being developed in he late 19th century and early 20th century. Unfortunately, internal combustion engine technology got more traction. 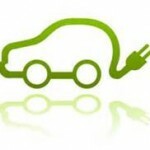 The ability to mass produce cheaper gasoline vehicles killed electric transportation cars. The energy crises of the 1970s and ’80s created a rebirth of electric transportation. However, once again the electric car fell by the way side when gas shortages stopped. Since the 1980’s, electric transportation vehicles have once again become a true reality. Advances in battery and power technologies have reduced the costs. Volatile oil prices and the need to reduce greenhouse gas emissions make electric transportation cars a realistic option. Tucson is one of the original cities to receive funding from the government for Electrical Vehicle or EV Projects. This project was aimed at installing electric transportation-car chargers across America. Tucson is one of the leaders in the EV charging infrastructure. In a recent study, Tucson ranked eighth among the top 10 cities for EV readiness, based on an estimate of 5.3 public charging locations per 100,000 residents. Not a lot, but a start in the right direction. Find Your Tucson Lifestyle and Tucson Home starting right HERE! Bookmans, a local Tucson company, is making it happen. Bookmans has recently installed the first “fast-charging” system. On August 16, 2013 at Bookmans Sports Exchange store R 3330 E Speedway. The Level 3 DC charger the system can fully charge an electric transportation car in as little as 20 minutes. This compares to 4-6 hours with a Level 2 DC charger. Bookmans currently offers free Level 2 charging at 3 of their Tucson stores. Starting October 1st, Bookmans will start charging for the Level 3 charging. This is happy news for those conscious of the environment. Pima County has more than 2,100 electric vehicles registered. The next nearest Level 3 DC charger is located at Picacho Peak. Moving To Tucson OR interested in Real Estate in Tucson for the future? We Can Help!